Thinking of selling your home? Looking for a Realtor that will do more then just put a sign in the yard? You’ve come to the right place! 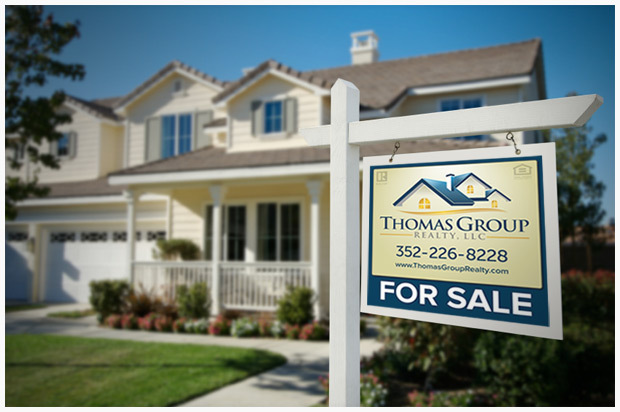 At the Thomas Group, our most important characteristic is our standard of ethics. Close behind is our work ethic! It is a personal goal of every one of our Realtors to get our clients the best price in the shortest amount of time. The way that we accomplish this goal is with a marketing plan from day one. In today’s market with so many homes on the market and so few buyers, it’s important for your home to be marketed by professionals that know how to put your home in front of the buyers. More so than ever it is important to hire a Realtor in today’s market, and the decision making doesn’t stop there. Hiring the right Realtors, that keep your best interest in mind at all times, is just as important. That’s why you’ve come to the right place! In addition to our high standard of ethics and unbeatable work ethic, we are community experts. We track real estate trends, share neighborhood concerns and participate in local matters. We’re good neighbors who are in the business of helping others buy and sell homes. Whether you’re a first-time seller or someone who has sold many homes, we take the stress out of real estate and we’d love to help you sell your next home!